After class, Janeemebe and I ventured off to Mee Sum Pastries to get some goodies for everyone to celebrate the Lunar New Year. When we got to the place, we found that the selection was quite limited…as in a selection of about 4-5 different pastries (which didn’t include the essentials such as egg tarts and they only had 1 coconut bun left..what the ef?). Once we finally decided on what to get, Janeemebe ordered first. Everything seemed to be just fine, although I did find the place quite expensive for just a few pastries. Well, now it was my turn to order; I requested 4-5 pastries plus a Moon cake. A different girl behind the counter helped out the girl taking the order. When she handed me my bag, there were only 2 pastries inside >.> I quickly got that problem resolved but then the girl asked me if I had gotten my cookie yet. Hmmm.. Cookie??? I told her no, and that I had wanted a Moon Cake, not a cookie. 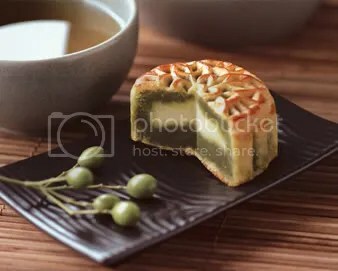 This conversation went back in forth as she insisted that I had ordered a cookie, asking things such as “Oh, so you no longer want the cookie?”…I told her no several times and that I had ordered the Moon Cake to begin with! …Cookie and Moon Cake don’t even rhyme or come close to sounding the same!!! Anyhoo…I paid the difference. Oh and I almost forgot. After I paid, the girl asked me if I wanted my receipt, and I said yes. Immediately after she said “OOPS! I accidentally pressed cancel!” So…Please do not ask me if I want a receipt if you had no intention of handing it to me!!! Overall, the pastries weren’t bad, but the service and cost of just a few pastries just doesn’t make it worth the trip there. I’ll stick to the places in Chinatown and Canada thank you. I checked his profile and he seems pretty legit. Ah, sometimes I make myself laugh. haha WOW THATS AWESOME HE COMMENTED BACK AND IS GIVING YOU A FREE CERTIFICATE! man i need to be more proactive about restaurants i dont like by writing reviews, letters, etc like you. remember maggianos? hehe i just read your review on yelp. you should have posted it like that to see the specific changes.. and just changed jane to “a friend”. ohohoho. You should be mean to all the restaurants in downtown, haha be like a food critic in Rattatoulie. hrmm….free meal huh? not bad at all. i guess it’s a way to lure u in and have u give the place a second chance. Previous Previous post: Happy Chinese New Year! 2008!